This thread is for live updates and comments regarding The Rolling Stones No Filter show in Coventry UK 2-June-2018. Edited 4 time(s). Last edit at 2018-06-02 14:00 by bv. Congratulations to the Ricoh Arena management for making easy to read and accurate show information, probably the best info of the entire tour. And thanks to Irix for the update! I know this is silly, but waited over 40 years for this official stickie and the stones to come back to the Midlands. The day is now upon us. The weather set to look good and fair. The local group, the specials are supporting. I have around 18 family and friends coming. Hopefully bump in to some people off here, I will be the nutter dancing in the general admission with the white/blue tongue t-shirt. Our meet up starts around 13.30. Every one have a great sunny day. I think I know what you're saying, I've had that feeling when I saw the sticky thread for the concert in my hometown in 2016, and it was so good to read that. Enjoy this moment with your family and friends and have a great concert! These will be everlasting memories. Staying with my sister and her family in Nottingham and being entertained by my nieces, 5 & 8. leaving around noon or a little later. My sister’s never seen the band and she’s my LD partner. Very excited about this show, the Specials are the perfect choice to support in Coventry. My gig buddy for Southampton, a grandfather aged about 60 is still buzzing after that show, his 1st ever and he’s ordered 5 Stones CDs and wants to go to Cardiff. Have a great day everyone and enjoy the show. Edited 1 time(s). Last edit at 2018-06-02 13:40 by Ket. Stones plans spotted at Baggington airport. I just arrived to Coventry, and need to catch up for a meeting pount in the city. The two meeting places which have been suggested in the Coventry thread (now closed) are both near the venue, and opposite direction of the city (Coach & Horses, Greyhound Inn). Also, the "Slug & Lettuce", which I have checked out, is more of a family bar with plastic flowers, so I will post an update about a better one now. Edited 3 time(s). Last edit at 2018-06-02 15:13 by bv. There are no nose bleeds in this small stadium! It will still be great! Bummer... did u buy them in the first hours or later on. Or did u pick yourself from a pile? Picked up at 11.30, was given a blank envelope from top of pile. Will be there around about 18.00. 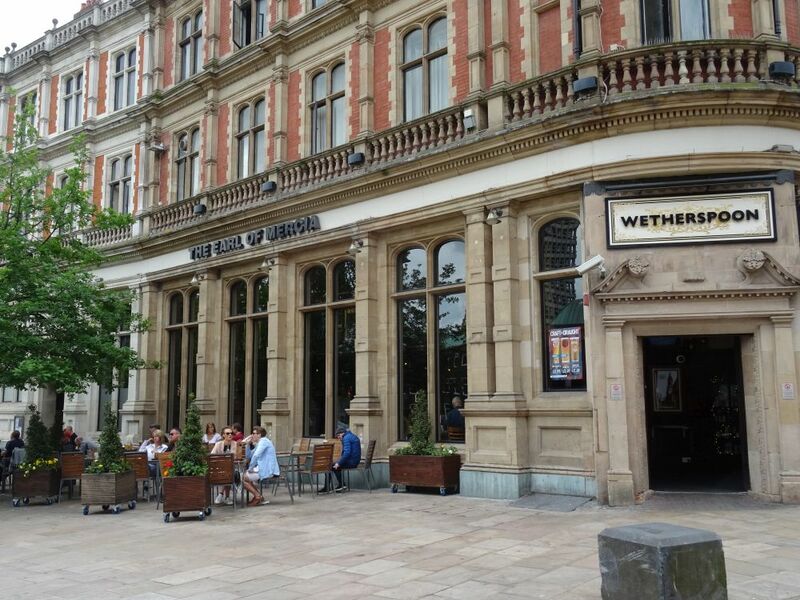 Yes, I do know it is another Wetherspoon, but it looks nice, and Wetherspoon do have great and cheap beers, also good priced food. Also it should be open until 1am tonight. Have a BLAST everyone...THE ROLLING STONES!!! The Rolling Stones played two shows in Coventry on March 6, 1971, at the former Coventry Theatre, in Hales Street, i.e. 47 years ago. I bet Mick will mention it on the stage tonight. Edited 1 time(s). Last edit at 2018-06-02 15:39 by bv. Lucky Dip: This time East Stand 25. But the Arena is not that Big. Edited 1 time(s). Last edit at 2018-06-02 16:22 by blutsvente66. Have a good show ! Arrived in Coventry, already stopped at Ricoh Arena straight from the station... tickets were waiting patiently for me!! Thank you Jesus! Thank ya Lord! Had a great night in London last night, and met some very cool fans already! Can't wait for the gig! Everyone enjoy themselves, I surely will!! I will collect LD for my wife and daughter later. If we happen to get any standing, I would swap for any seating, as my daughter is too young for standing area. So if anyone wants to swap nosebleeds later, drop me a message and I will contact you. I would change my 2 seating Tickets. Would love to get GA or GC. Even Pit would be OK.
Edited 2 time(s). Last edit at 2018-06-02 16:37 by blutsvente66.